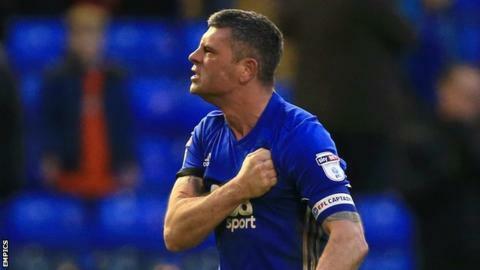 Birmingham City defender Paul Robinson says he will retire from playing at the end of the season. The 39-year-old, who also played for Watford, West Brom, Bolton and Leeds, has made 763 career appearances. Robinson signed a one-year player-coach contract at the start of the season, but has only appeared three times for Blues early on this season. "At the end of the season it will be bye to playing but the start of a new, exciting chapter," he said on Twitter. "I have loved wearing every shirt with pride. I have played my heart out every time and I've achieved from a young age my dream." The former England Under-21 international began his career with his home-town club Watford, before signing for West Bromwich Albion in 2003. He spent six years at The Hawthorns before a season-long loan move to Bolton Wanderers was made more permanent in 2010. Robinson was released two years later, finishing the season on loan with Leeds United, before joining Blues as a free agent in September 2012. He has played just 45 minutes of Championship football this season, all three of his appearances (two of them in the League Cup) having been under Harry Redknapp. Although has not so far figured under current Blues boss Steve Cotterill, he continues to work at the club in a coaching capacity with Blues' Under-23 side.